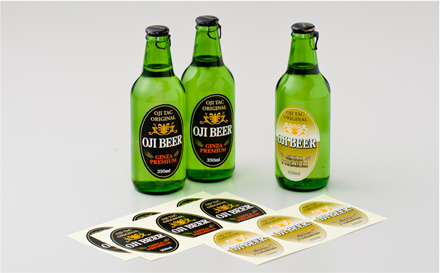 Coated paper Sticker | Self-adhesive paper | Our Products | Oji Tac Co.,Ltd. Coated printing paper giving excellent print quality, made by coating base paper with fine pigments and binder (adhesive), then smooth-processing. Though divided into two types (art paper exhibiting the highest grade of print effects, and coated paper with more emphasis on economy), we have improved the quality of the coated paper to the extent that it may be difficult to tell the two apart. We have a full lineup of gloss and matt types compatible with various printing methods.